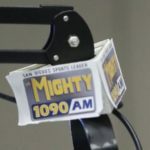 I enjoy telling the stories of young minor league players. 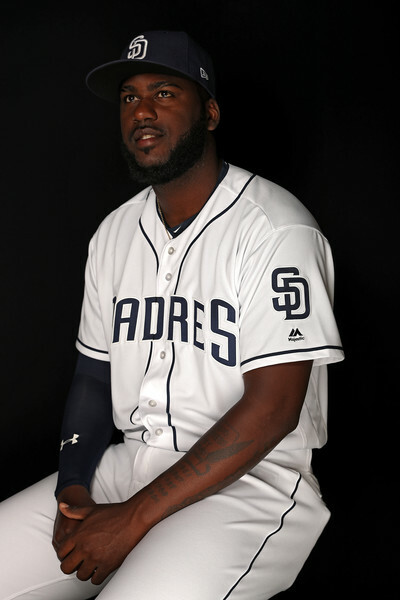 Perhaps no player has endeared himself to me more than Padres’ minor league outfielder Franmil Reyes. 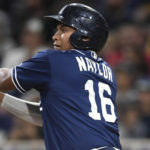 The slugging, right-handed hitter is starting to really come into his own as a ball player, and his upside is limitless. The ceiling on this man goes way beyond his skills on the baseball field as well. Reyes has a personality that is contagious. He interacts well with all his teammates, as the big Dominican is bilingual. His English has progressed so well that he and I sat down in the Padres’ locker room on Wednesday and conversed with no translator. Franmil put in the extra effort to perfect his English, and that speaks volumes on his commitment to get better. 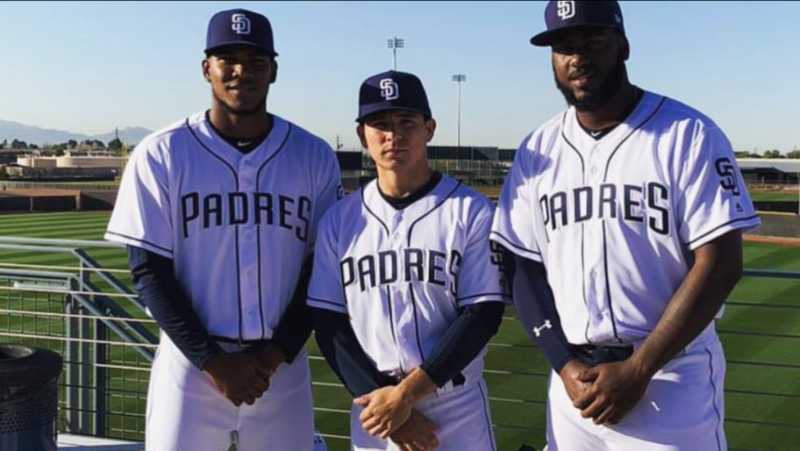 He is great friends with Josh Naylor, Luis Urias, and Franchy Cordero. In fact, Cordero and he grew up playing baseball together in the D.R. The two men have a long bond and friendship that is special to see first hand. Franmil has started at least 123 games for the last four years. I asked him about that and if he took pride in playing everyday. “It is important to be there for my team.” He loves to play the game of baseball and despises taking any days off. That is the mentality you want from a player, isn’t it? The game of baseball is just that… a game. You go out there to have fun and you play as often as you can. We spoke about his swing as I noticed that he seemed more patient at the plate. I asked if anyone helped him in particular. “Oscar Bernard helped me a lot. He got me to stay back and behind the baseball.” The Tri-City Dust Devils’ hitting coach and native of the Dominican Republic really assisted Franmil this winter. “I needed to let the ball travel more in the zone.” Reyes felt he wasn’t giving himself a fair shot in the box, so he made the changes. “I know I’m strong enough to hit the ball out anywhere.” Indeed Reyes is, as we all witnessed his powerful blow over the bullpen to right field on Tuesday. I asked him about the pitch and how he felt about his second homer of the spring. “It was a fastball. I let it get to me and put a good swing on it.” Just as simple as that. He needed to make an adjustment and he did. The game of baseball is all about adjusting. There will be more adjustments for the 22 year old in the game. That is just how it goes. But these early returns and the fact he wastes no time in implementing them says so much about Franmil. We talked about a touchy subject for him. He was pretty upset when the team failed to add him to the 40-man roster and left him unprotected for the Rule-5 draft this winter. Perhaps it was a broken hammote bone that he suffered in the AZL that scared off teams. 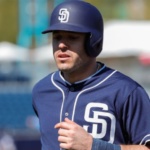 The Padres certainly gambled in allowing him to be claimed. Thankfully, he was not, and is having an outstanding spring so far in the major league camp. I asked Franmil about being left off the 40-man roster. “I was not happy. It motivates me to be better.” If the Padres wanted to light a fire under this man, they may have done so. He is a man on a mission as he fully intends to be a legit major leaguer one day. 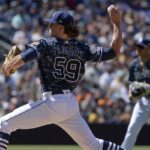 If his first taste of major league pitching is any indication, he should have no problem being productive in the league. At the moment, the crowded outfield situation dictates that he will probably start the year in Triple-A. With options left, and his youth on his side, it’s enviable for the time being. I asked him about El Paso and what he expects playing in the PCL. 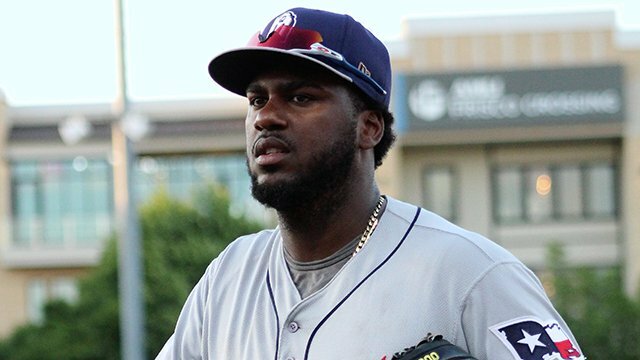 “I’m excited to (potentially) play there.” The PCL is categorized as a hitter’s league. With the numbers he put up in a neutral ballpark like San Antonio, expect even more in 2018. Now that he is letting the ball travel, the big man will probably cut down on his K’s and reach his potential with the hit tool. In leaving our discussion, I was given a big hug from the outfielder. He treats everyone like family and I appreciate that very much. 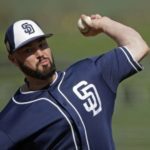 He is an endearing soul that deserves more attention in this overcrowded Padres’ system. 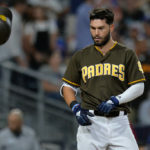 It’s only a matter of time before Padre fans realize the talent they have in this gentle giant. 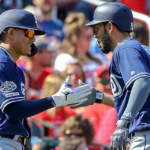 Previous Are We on the Cusp of Greatness with this Padres’ Franchise? Stats are fine, but sharing your perspective with us about the personal side of players like Franmil is important too. As a 30+ year season ticket holder, we look forward to seeing him and Franchy playing together at Petco for many years! Great piece, thanks. He sounds like a very nice young man!! !